Need a new bike for the spring and summer? 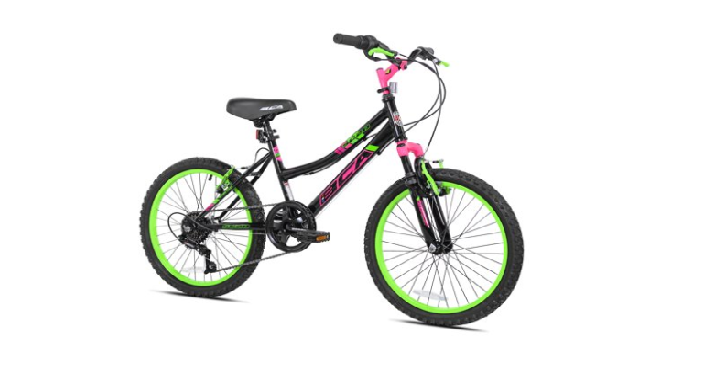 Walmart has the BCA 20″ Girls’ Bicycle, Black/Green, For Ages 8-12 for only $68 Shipped! (Reg. $99) The shifting is handled with a six-speed drivetrain featuring twist shifters, and lugged knobby tires get all that kid power to the ground and provide great traction. Front and rear linear pull brakes keep speed in check.